You know, those days when you look yourself in the mirror and your skin is screaming at you: feed me! I’m tired! You know, I know. I hate those days as much as you do. five ingredients, you, me, and the clay magic! Let’s get started with this purple clay face mask to boost your skin! Does your skin seem dull from time to time? I know mine does! Especially for the past few weeks. It’s been too much work, not enough me-time. So, my skin was aching for some good simple homemade face masks that make it happy every time. Looking at my cupboard, I decided to give the purple clay face mask a try. Have you ever tried a purple clay? Now you can! I love it, love it, love it! It’s colorful, nourishing, and gentle. This hemp seed oil face mask is made with only 5 natural and organic ingredients, but you can omit the essential oils if you wish. 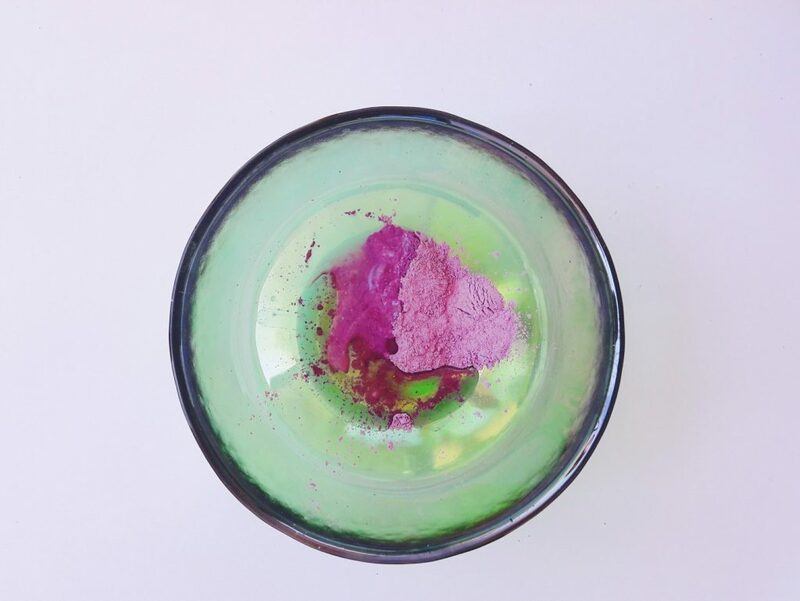 I hope you’ll love this purple clay face mask as much as I do! Let’s get started! I’ve written extensively about clay up to now (I am a true fan! ), but only about bentonite clay. Anyway, purple clay is your clay of choice if your skin is dry, dull, or tired. It leaves the skin smooth and soft. Unlike bentonite clay, it doesn’t have such strong detoxifying properties. Don’t get me wrong, it will cleanse your skin, but it’s not as powerful as bentonite. 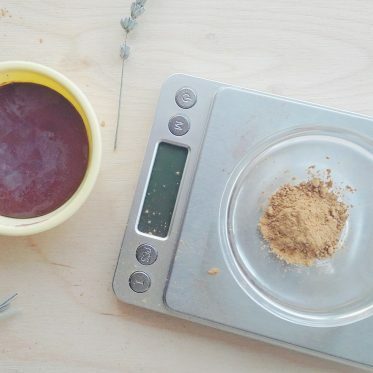 Purple clay can be also used as a color in makeup, but it will also boost your skin’s complexion, making it appear healthier and more radiant. It boosts the circulation, cleanses the skin, and rejuvenates it. This clay doesn’t contain any artificial pigments. It’s all natural and the color depends on the minerals that are present in the clay. Hemp seed oil. You may hate its flavor if adding it to your salad. And you wouldn’t be the first one! 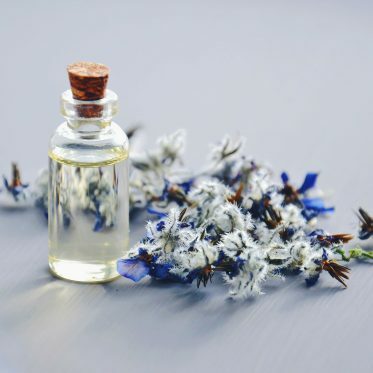 But this oil has many positive effects for the skin, I’ve written about hemp seed oil benefits for skin here. To recap, this oil is very moisturizing but light, which makes it perfect for summer. It’s nourishing and soothing for dry skin, skin conditions, and even as anti-aging oil. You can easily add it to your homemade skincare recipes, or your food (once you get past the taste). It has powerful anti-oxidant and anti-inflammatory properties. 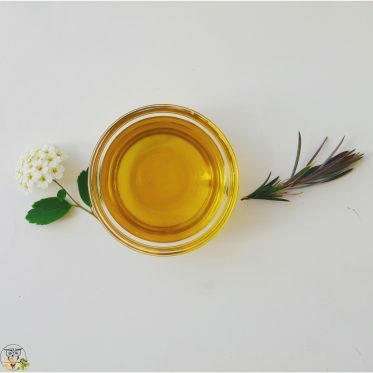 Hemp seed oil is also rich in vitamin E and essential fatty acids which all work to improve the overall health of your skin! There is quite a lot of information online on why you should start putting green tea on your face. 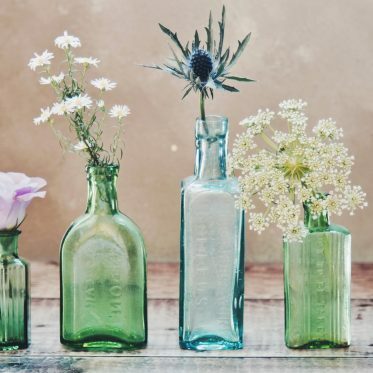 Most of these claims come from the fact that it has anti-inflammatory and antibacterial properties. It’s also anti-aging and tones the skin. I’ve added it to this recipe because green tea helps to remove toxins, moisturizes, and creates soft skin! While ylang-ylang is a popular essential oil to add to your homemade perfumes and body mists, it’s far more than just a good smell. Ylang-ylang EO has antiseptic properties and helps to reduce irritated skin. 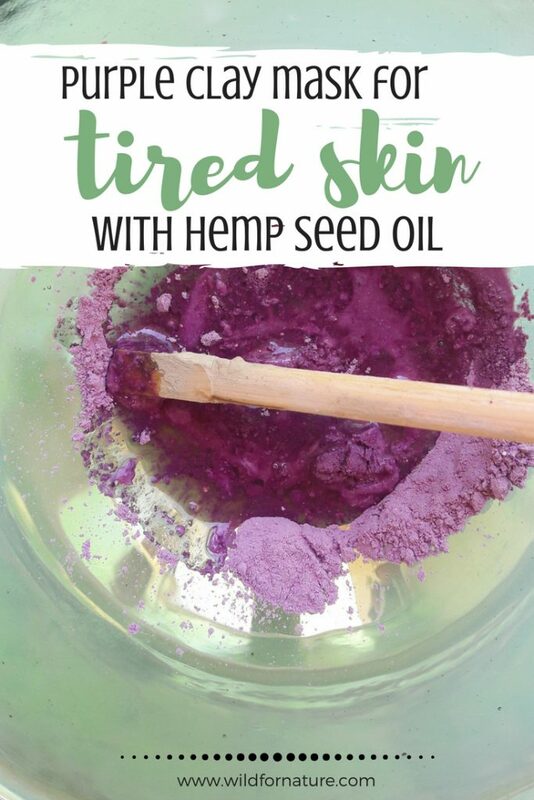 Moreover, it’s calming and soothing for the mind, and it will add an extra kick of antioxidant goodness into this hemp seed oil clay mask recipe! Great for oily and dry skin! How do you like the mask? Let me know in the comments below!